The team of resident experts here at binaryoptionswire.com now turns its attention to the great “down-under” to provide you with an enlightening country report pertaining to forex trading in Australia. The retail forex industry in Australia is influenced by two factors that are unique to the country and its people. The first has to do with the fact that the Australian economy is largely driven by large volumes of exports of raw materials and minerals, which means numerous cross border trade transactions that have provided fertile ground for the development of a vibrant foreign exchange industry to cater for the need of such exports. The second factor has to do with the mentality of the 21 million inhabitants of Australia who are a people of exceptional resourcefulness and independent spirit, willing to defy restrictive constraints in their endeavours which has rendered them particularly keen in delving into retail forex activities. The foreign exchange market in Australia constitutes one of the principal sources of revenue for the Australian government, thus supporting the country’s economic growth to a significant extent. The official currency for the Commonwealth of Australia is the Australian dollar (AUD), which was introduced in 1966. Currently, the AUD ranks fifth on the list of the most highly traded foreign currencies in the world, after the United States dollar, the Euro, the Yen and Great Britain’s Pound Sterling. The global recognition enjoyed by the AUD as a currency and its high liquidity gives it high volumes of trading worldwide and thus ensures that the Australian foreign exchange market constitutes a considerable portion of all the global foreign exchange transactions. The exchange rates of the Australian dollar are regulated by the Reserve Bank of Australia (RBA), while the foreign exchange rates in Australia depend on the exchange rate of AUD against the other foreign currencies wordwide. Following a floating exchange rate system the Australian forex market includes various types of forex transactions, such as Limit Order Deals, Forward Transactions, Options Trading and Day Trading. Operating under the RBA, the Australian Foreign Exchange Committee (AFXC) is the principal consultative body for the Australian foreign exchange market and its membership includes some of the leading foreign exchange banks as well as the Australian Financial Markets Association. The AFXC’s main objective is to provide a forum for all the stakeholders of the Australian forex market, enabling them to discuss various issues and find solutions to the problems arising regarding the development of the foreign exchange market of the country. The committee’s aim is to act as an agent between the RBA and the actual Forex market, while also interacting with other similar committees in other countries and forex markets. Moreover, the AFXC is tasked with ensuring that the best possible risk management methods are followed in the domestic foreign exchange market to the benefit of all its participants. Furthermore ASIC evaluates the efficiency of the performance of the existing market structures, as well as ensuring that the operation of the financial markets is done by all participants in a manner that is proper, fair and transparent; in conformity will all associated rules, regulations and obligations. Additionally, in its capacity as the financial services regulator, ASIC grants licenses and supervises businesses providing financial services connected with superannuation and insurance, managed funds and derivatives, shares and firm securities. Of most importance to our forex country report is that every forex broker be they homegrown or foreign, is required to be registered with ASIC and licensed by the same body in order to be allowed to provide brokerage services in Australia. We have already established that Australia is a major financial hub not only in the Asian region but in the entire world. We should also bear in mind that AUD has persistently maintained one of the highest interest rates of major currencies traded in the global forex market. 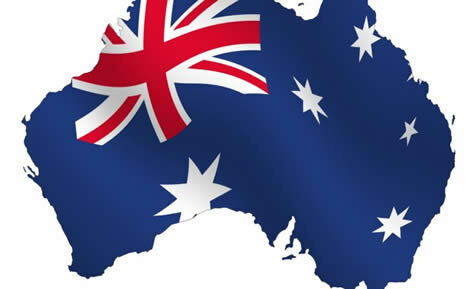 Traders all over the world pay particular attention to this region and in particular to Australia because the AUD has shown a strong correlation with the price of gold. With traders in Australia contributing highly to the volume of trading activity carried out in the Asian time zone, it is only natural that a large number of forex brokerages operate in Australia. These Australian based forex brokers can be largely divided into two groups: those which are home-grown and those that are branches of foreign brokers. Therefore, if you live in Australia, New Zealand or even the Polynesian and Melanesian islands and you interested in online retail forex trading, then study our list of trusted forex brokers operating in Australia, to be able to make wise decisions about who to trust with your money and custom. FXPro resulted from the take over of a company named NorthFinance, which was set up in Cyprus in 2006. Since the inception of FXPro Financial Services the company has undergone rapid expansion to the UK and Australia, attaining the status of a regulated broker in these jurisdictions. Operating both an ECN as well as a market maker model in its brokerage operations, FXPro also caters for the needs of Muslim clients through providing dedicated Islamic accounts. Through aggressive and highly visible marketing decisions such as sponsoring two major English Premier League clubs, the Asian Champions League and the World Rally Championship FXPro boosted its brand image and established itself as a recognizable and trusted forex broker, especially in the Australian market. Another foreign forex broker with a branch in Australia is FxOpen, which has recently launched an application known as OneClickTradingLevel2 plugin (OCTL2), which prides itself for facilitating the process of trading forex via the MT4 platform, since it helps all clients execute an order at the best available price with just a single click. FxOpen is also a pioneering broker since it was one of the first to use various trading contests in order incentivize traders and attract more clients to retail forex trading. The Australian forex brokerage arm of the AvaTrade international brand is Ava Capital Markets Ltd. Through their branch office in Sydney, Ava Capital Markets operates as a market maker and provides account opening for as little as 100 AUD. Besides being able to trade 60 currency pairs, traders can also invest in stock indices and commodities on the trading platform, while algorithmic and mirror trading is also possible. In fact traders are literally spoilt for choice since they can choose between four different trading platforms in a user-friendly, multi-lingual environment. Go Markets is a truly home-grown Australian forex broker, whose success has led it to acquire a foreign presence in the UK and Europe as well. Much of Go Markets’ popularity is due to the fact that the brokerage is a pioneer in terms of forex social trading in Australia. Coupled with its provision of trading on the MT4 as well as on the web-based platform, Go Markets has also admittedly made significant investment in forex education for its clients by providing a variety of forex educational tools on their website, where they also list numerous MT4 scripts which are of particular use for programmers. The true home-grown nature of AxiTrader as a forex broker is reflected in the currencies in which accounts can be operated, which has a strong Asian lean and includes, besides the AUD, the Euro, US Dollar, but also the New Zealand Dollar as well as the Japanese Yen and the Singapore and Hong Kong Dollars, to cater to the trading needs of the large numbers of nationals from these countries who reside in Australia. unique features is the provision of a segregated account where all traders’ funds are kept. For a minimum deposit of 1000 AUD, traders can trade in a secure environment with the added safety of knowing that their funds are kept in a segregated account. Another prime example of an Australian grown forex broker is Bacera International, a brokerage which operates as a market maker, both through a web based platform as well as through a mobile platform which allows trading on the go from smartphone devices. For a minimum deposit amount of AUD300 Bacera provides microlot contract sizes, the scalping and hedging of trades are two trading techniques allowed on its platforms. Our list of trusted forex brokers for Australia is by no means exhaustive, but it provides a good starting point for all traders wishing to trade retail forex online in Australia, since all the brokerages we feature remain in good standing with the ASIC.